A brief history of the Android world. Global shipments have been rising at a fast pace. According to the IDC, last year alone it rose 23%. 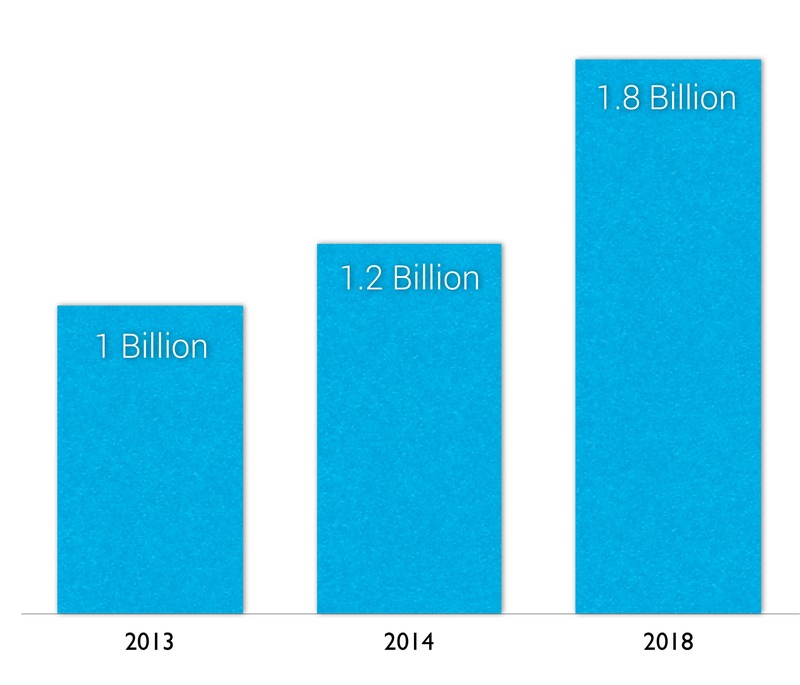 By 2018, there will be an additional 1.8 billion devices in people's hands. 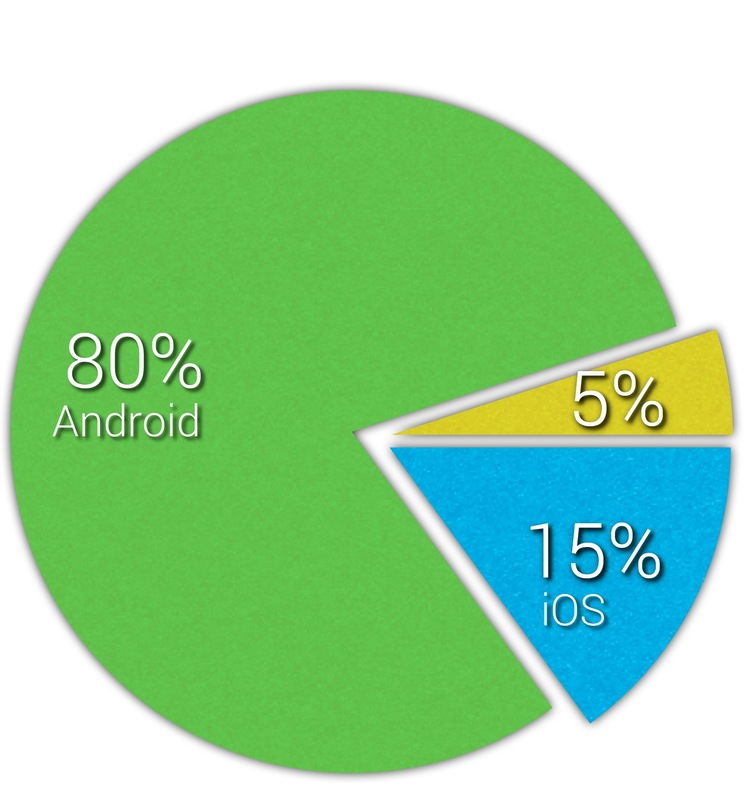 Of those phones, 80.2% will be Android!